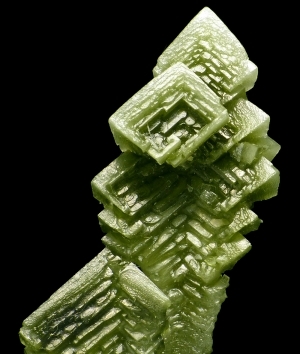 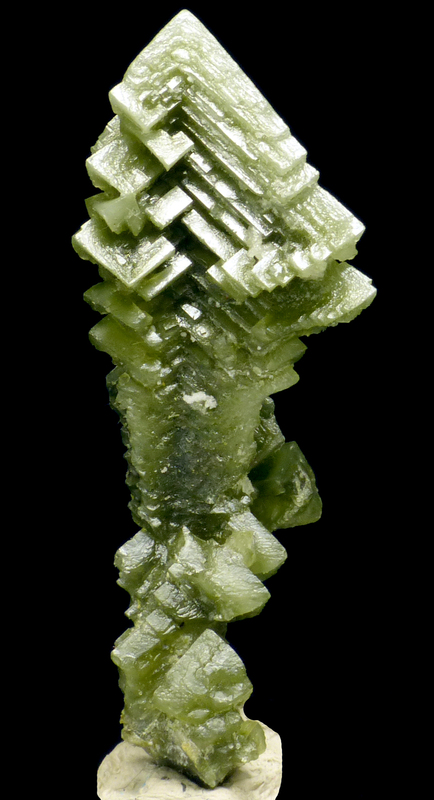 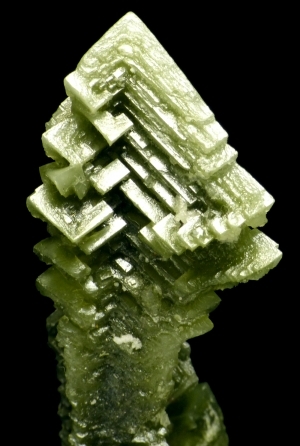 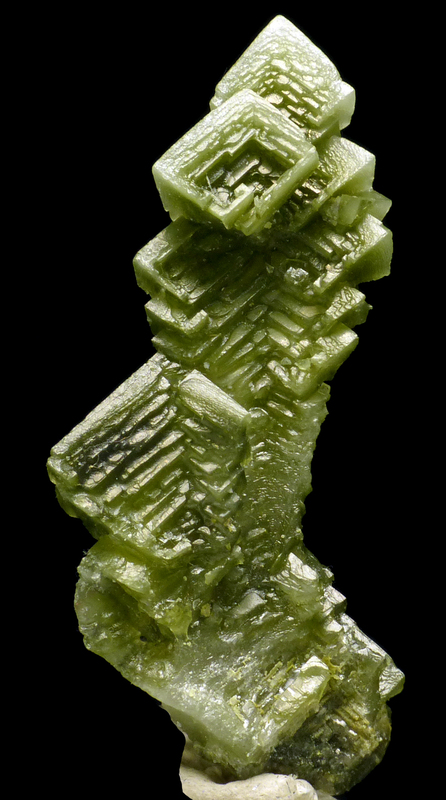 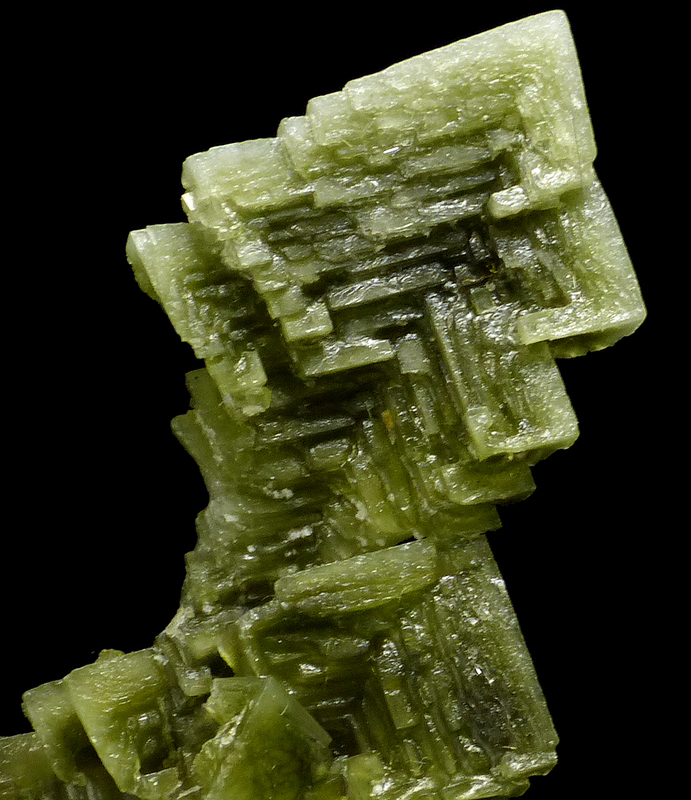 Good specimen of unusual green skeletal halite crystal from Sieroszowice mine in Poland. Color is caused by the presence of rare tolbachite as well as inclusions of the bitumens, covellite and sulphur. 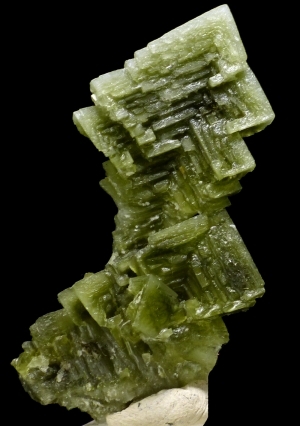 Good color and great shape. Specimens found in 2017. Read more about this find in a special article HERE.